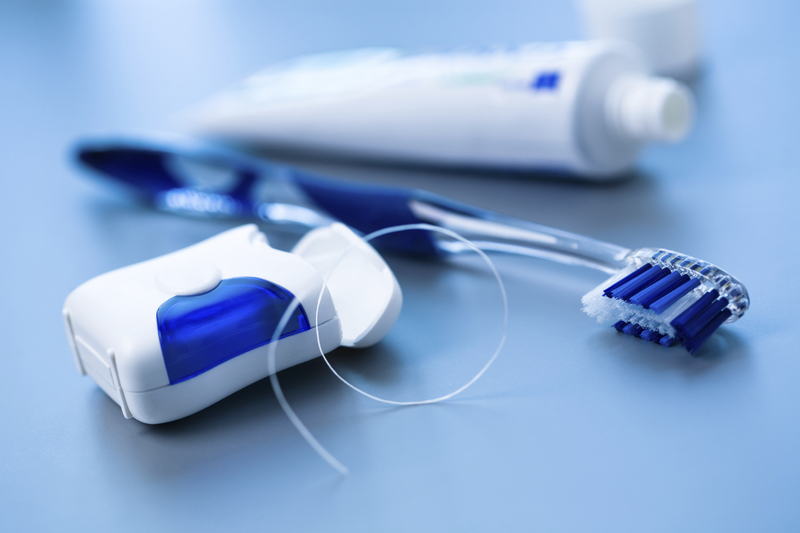 Skipping A Day of Brushing & Flossing: Not A Big Deal? 31 Jan Skipping A Day of Brushing & Flossing: Not A Big Deal? Brushing and flossing your teeth is not a big deal; it’s actually absolutely crucial to good hygiene and oral health. Often some do not fully grasp the importance of brushing teeth on a daily basis. Some find it easy to rationalize its importance, skipping a day or more of brushing and flossing, or simply not brushing at all. Laziness or apathy is usually the root of the problem. So what exactly happens when you skip out on brushing or flossing your teeth? Well, let’s take a look. First of all, let’s talk about bacteria. Bacteria in your mouth is normal because it’s on many of the foods and drinks you consume, but bacteria left to its own can cause many oral hygiene issues. Bacteria can cause plaque to build up on your tooth, which eventually turns into tartar, which is more difficult to remove. While you can’t avoid bacteria from entering the mouth, you can limit the amount of time it stays. It’s important to brush and floss your teeth on a daily basis to prevent bacteria, plaque or tartar from building a permanent residence in your mouth. Brushing and flossing helps to remove the bacteria in your mouth and prevents plaque and tartar from attaching to the enamel of the tooth and multiplying. Bacteria can be damaging to your teeth when it begins to multiply and produce acids which can eat away at your teeth, causing a cavity. Plaque: A sticky, whitish substance on the tooth which grows when teeth are not regularly brushed and bacteria sets up camp on the tooth and colonizes. Tartar: A hard, yellowish deposit on the tooth caused when plaque and bacteria cling to a tooth and harden. Enamel: The protective, outer covering of your tooth made of many minerals. A cavity is a small pit in your tooth where all your money goes. Well not literally, but cavities are expensive and can be avoided with the simple habit of brushing your teeth. As explained above, cavities form when bacteria, plaque or tartar are not removed the from the mouth, which produce acids which eat away the surface of the tooth. A major reason to both brush and floss your teeth on a daily and consistent basis is to prevent gum disease. Gingivitis is the first stage of gum disease which is caused by poor dental hygiene. Signs of gingivitis include redness of gums, swelling and bleeding. When brushing and flossing are not a priority, the odds of gum disease increase as plaque and tartar sit long amounts of time on the tooth. Gum disease can eventually lead to loose or falling out teeth. Good dental hygiene include daily and consistent brushing and flossing of your teeth. Tooth loss is often caused by poor oral hygiene and gum disease. Tooth extractions or replacements can be a costly consequence for not practicing the simple habit of brushing and flossing your teeth. If you want to keep your teeth now and when you are older, brush your teeth. Now is a great time to start good oral hygiene habits and begin to repair and prevent oral hygiene issues. Unless you prefer yellow teeth, take the time to brush and floss your teeth. Just a few minutes in the morning and a few minutes in the evening can make a world of difference. With the build-up of plaque, tartar and food stains from day to day, brushing your teeth provides your teeth a clean slate. If you smoke or drink coffee, daily brushing is even more critical to prevent bad breath and stained teeth. Treasure those pearly-white teeth and keep on brushing and flossing. When it comes to bad breath, you don’t want it. There is nothing worse than speaking with a friend, coworker, or an acquaintance when your breath smells as bad or worse than your dog’s. Bad breath is often caused by not brushing your teeth or your tongue. There are breath fresheners available which can help to cover the smell of your bad breath, but ultimately the cause of the problem will need to be addressed. Keep your mouth clean and healthy to avoid problems worse than bad breath. Dr. Oliver Thuernagle of Legacy Dental is an Idaho Falls Dentist that has been serving the community since 2006. Contact us today!